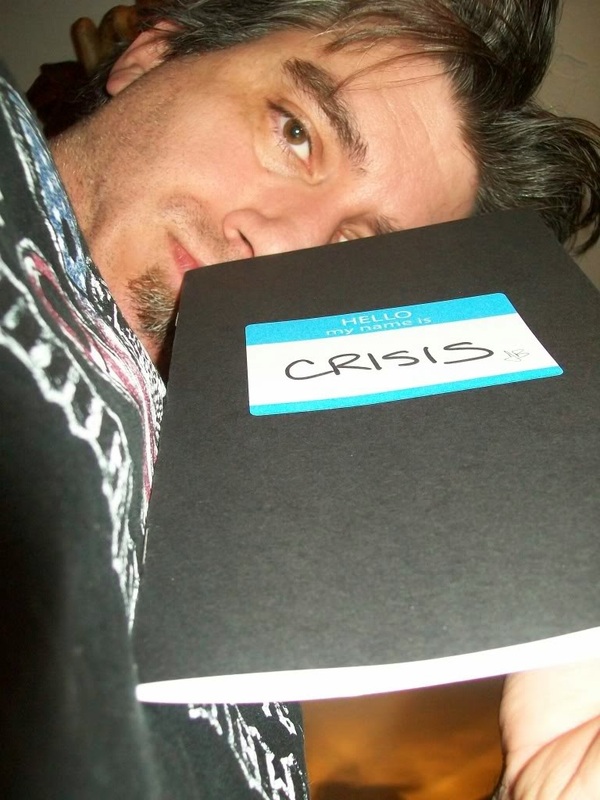 Identity Crisis is a 2010 revision and reprint of Jesus Crisis' longest poem. "Identity Crisis" was first published online in audio format as a part of the Poet's Haven's Episode #8 podcast (2008). It first appeared in print as part of the February 2009 Green Panda Press chapbook Identity Crises (a collaboration between Bree, Douglas Manson and Jesus Crisis). That edition sold out within a year. From the author: "When it went out of print, I tweaked the poem and printed it alone as a Crisis Chronicles Press edition to hand out free to everyone who attended my Brunswick Art Works reading on 11 February 2010. I continued to distribute it for free for at least the next year." Identity Crisis is 8 pages, 8.5" x 5.5", saddle staple bound using black card stock emblazoned with a hand inscribed name tag sticker. Approximately 270 copies in print. The earliest copies were inkjet printed and the latest laser printed on cheap white paper. Design by the author/publisher. A limited number of copies remain available, though we do not plan to reprint it. Get yours for $5 from Crisis Chronicles Press, 3431 George Avenue, Parma, Ohio 44134 USA. Click here to read reviews of Identity Crisis at Goodreads. 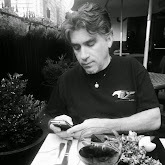 Click here to read a review of JC's Brunswick Art Works reading of Identity Crisis at cleveland.com.